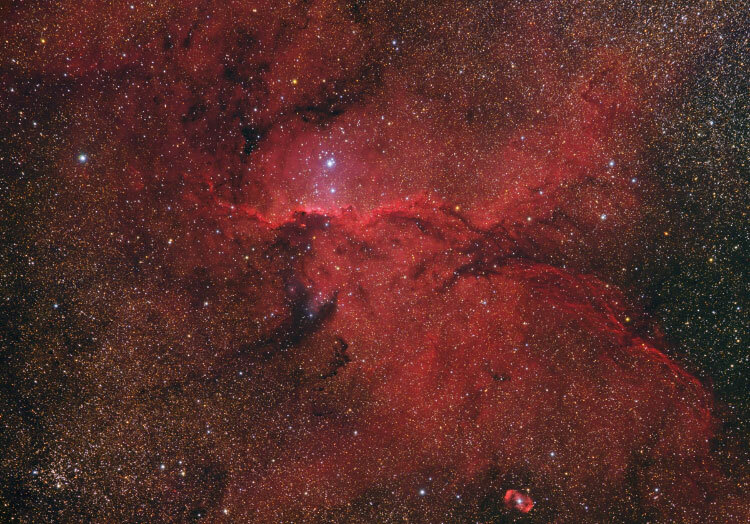 NGC 6188, an extended emission Nebula in the southern constellation Norma shows turbulent structures and waves caused by stellar wind. 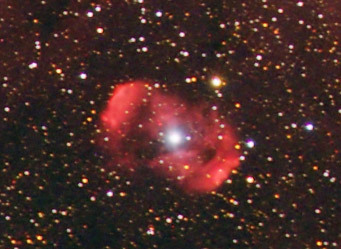 Below there is NGC 6164/65, a strange planetary-like S-shaped Nebula. Its central star is a close triple system. The extremely hot central star is loosing mass from its outer layers continuously, but occasionally more vigorous outbursts give rise to the symmetrical shells seen in this image. Below you find a pure H-alpha image in 20/50%. 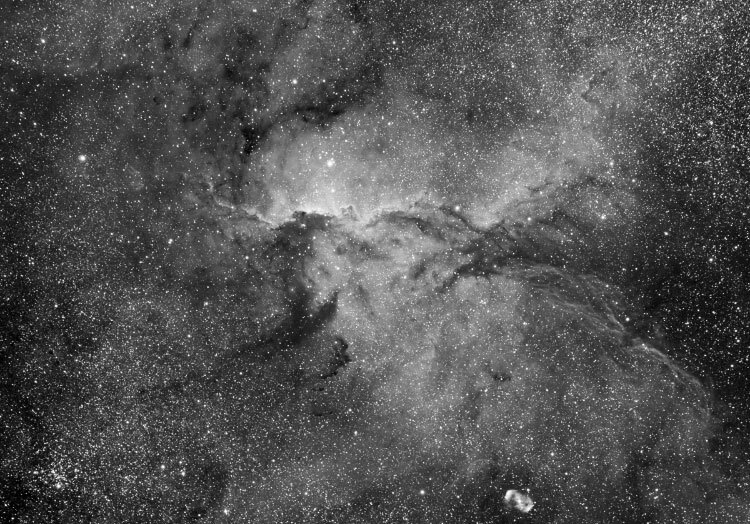 At bottom you find a crop on NGC 6164/65 in 100% size.